Drones are prohibited in Yosemite: A reminder from the National Park Service. Yeah, we probably don’t need drones crisscrossing this scenic vista. Yosemite may be a vestige of a wild, untouched past, but people love using tech to think about and experience the park. Maybe it’s a desire to capture nature’s majesty or feel connected to it without actually being a part of it, but whatever the motivation, the end result lately has been increased drone usage in the parks. Which isn’t allowed. 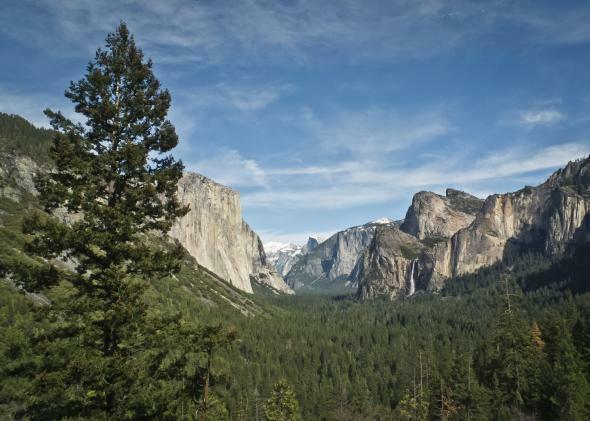 On Friday, an announcement on Yosemite’s official website reminded park-goers that drone operation is prohibited on park grounds under the Code of Federal Regulations. The announcement notes that drone use in the park has been increasing in the last few years buts warns that it can have negative consequences. Drones can be extremely noisy, and can impact the natural soundscape. … The use of drones also interferes with emergency rescue operations. … Additionally, drones can have negative impacts on wildlife nearby the area of use, especially sensitive nesting peregrine falcons on cliff walls. It’s a pretty persuasive list of concerns. And since drone use for search and rescue itself is still heavily debated, it makes sense that rangers aren’t quite ready to let the public go wild with drones in the park. For better or worse we’re going to be missing out on a lot of Yosemite dronies.